Microsoft has revealed their April 2018 Xbox Live Games With Gold lineup, which includes your standard two Xbox One games and two Xbox 360 games. Of course, the Xbox 360 games can be played on Xbox One via backward compatibility. Next month’s selection includes the Victorian London-set Assassin’s Creed Syndicate, mind-bending puzzler The Witness, classic sci-fi horror game Dead Space 2, and a Cars racer for the kiddies. Become the fastest racecar in the world. Play as Mater, Lightning McQueen, or other favorites as you take on dangerous missions, action-packed challenges, and race against friends in this high-speed adventure inspired by Cars 2. Cars 2: The Video Game will be available from April 1 to 15, Assassin’s Creed Syndicate and Dead Space 2 will be available on April 16, and The Witness can be downloaded all month long. As always, once you download a Games With Gold title, you’ll have permanent access to it, so long as you still have an active Xbox Live Gold membership. Microsoft wins the game giveaway this month, easily beating out Sony’s Mad-Max-headlined April PS Plus lineup. 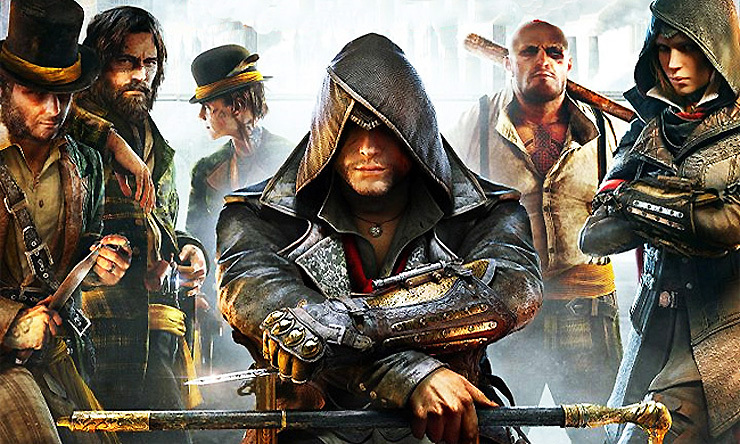 Dead Space 2 and The Witness are both highly recommended, and Assassin’s Creed Syndicate is an above-average entry in Ubisoft’s popular franchise. What are you going to play first?